Ready to take the next step to better paintings? Announcing Alexander Art's new Intermediate Master Class! Albert Einstein defined insanity as "...doing the same thing over and over again and expecting different results." Many painters think that by painting the same thing over and over they will become better painters. You get better by challenging yourself and expanding your horizons. You get better by working with a mentor who has decades of experience, not only as a successful artist but also as a master teacher. Instead of painting another boring mountain landscape, how about painting one of the classics of all time by one of the most famous Impressionist artists of all time? 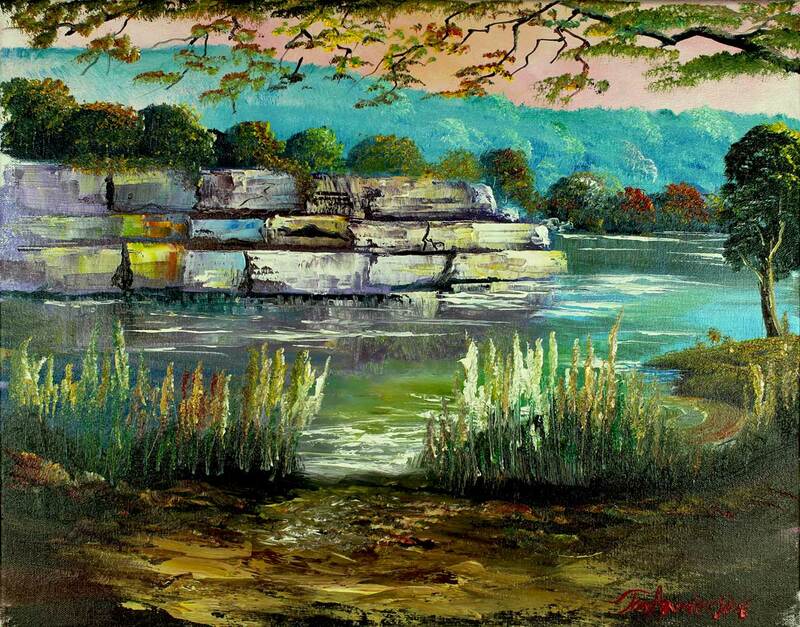 How about painting a peaceful running stream or a quiet lakeside cove or a sunlit Tuscan scene? When we began filming the Master Class videos almost two years ago, we knew we had something very special. We just didn’t know HOW special it really was! Each of the five paintings in the Master Class Intermediate course will take you from where you left off in the Introductory course and advance you to the next level in your art training. We've spent over twenty years developing and refining this program and testing it on thousands of students. Aspiring artists, just like you, many of whom never picked up a paintbrush in their life have learned to paint. Many have gone on to create their own career in art. Others wanted to be artists but claimed they had no talent for art. We've heard it all. "I can't even draw a straight line." "I've got no talent for art." "My art teacher in school said I should take up sports." 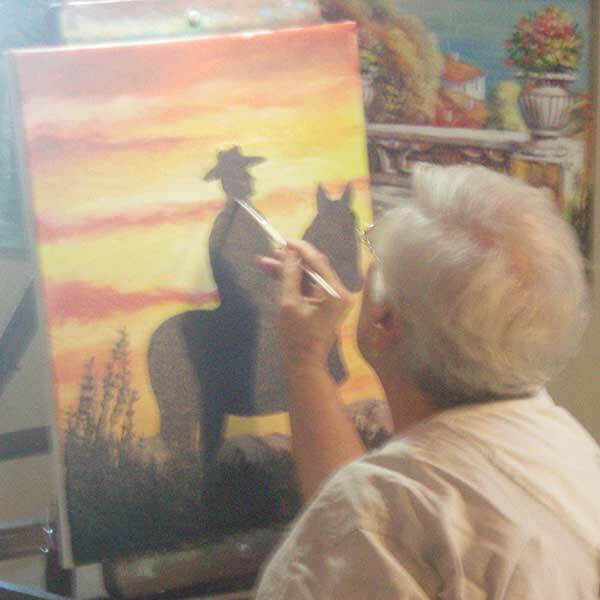 We know, from working with students over the years, that if you have the desire to learn, we can teach you to paint. All you need to bring to the table is the willingness to learn. We'll take care of all the rest. The Alexander Art Master Class, now at this intermediate level, teaches you more advanced techniques that experienced artists who have painted for years don't know. You see, we spent hundreds of hours watching Bill Alexander's videos and learning from him. 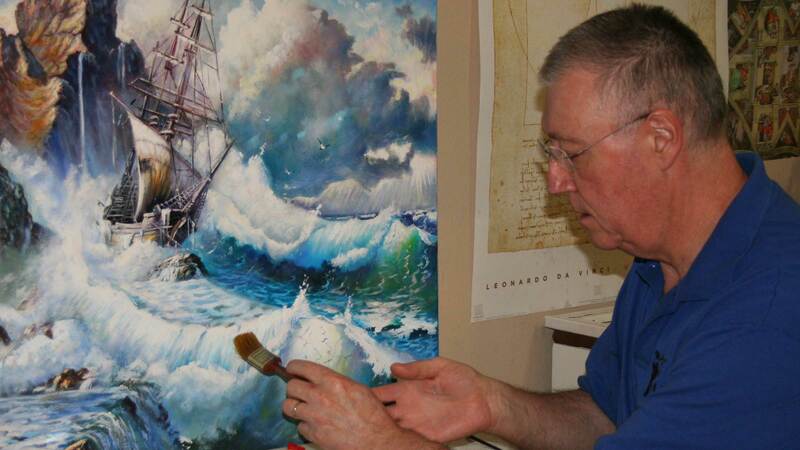 We've distilled the essential elements of Bill's method of oil painting into this course. We're going to teach you techniques that many of Bill's fans don't know because they haven't studied him as we have. Just like with the Introductory course, each painting builds on the prior painting. You learn more advanced techniques and concepts of the Bill Alexander Method that Bill didn't have time to show in his twenty-eight minute PBS television show. Every painting from "Tuscan Villa" to "Utopia" is a beautiful work of art you'll be proud to hang in your home or give as gifts to friends and family. Skip the years of frustration trying to figure out complicated brush strokes and painting techniques for yourself. Under Alexander Master Artist Tom Anderson's tutelage, you’ll begin creating paintings that others require months or even years to learn. Non-toxic paints and environmentally friendly clean up (soap, water, and vegetable oil) mean you can paint anywhere in the comfort of your home without harmful chemicals or toxic fumes endangering yours or the lives of your loved ones. Create personal and meaningful gifts that your friends will love and your family will treasure forever. Avoid the mess of painting by learning palette management techniques that will make your painting experience pleasurable and more enjoyable. Find out why a quality, professional grade paint will help you create paintings easier! Learn how to make your brushes last forever. Learn the advanced secrets to painting wet-on-wet that no one is teaching new students (because they don't know them). Make your paintings tell a story which will increase its value both to you and those to whom you give (or sell) it. Learn the simple but effective techniques "Old Masters" like Rembrandt and Leonardo da Vinci used to create the most enduring and beautiful artworks of all time. Take your artistic skills to the next level in only a couple of months (rather than years) with the secrets revealed by master artist and teacher Tom Anderson. Enjoy that sense of accomplishment and pride that comes from a job well done (and being complimented by your friends and family). See the world through the eyes of an artist! Your teacher is Alexander Master Artist Tom Anderson. Tom was certified in the Bill Alexander method of oil painting nearly thirty years ago and has made it his life's work to teach others to paint. Tom has dedicated his life to his art and is a lifelong learner. He has studied Leonardo's notebooks, read the histories of Vasari and Alberti and is a master paint maker. Tom has traveled the world and visited the great art galleries in which are displayed the works of the Old Masters. He has studied the works of the great artists like Titian, Leonardo da Vinci, Rembrandt, Velázquez, Monet, and, of course, Bill Alexander. No one is better suited to teach you how to paint than Tom. Read some of the many testimonials from Tom's students below. ...wanted to visit the beautiful Tuscan countryside of Italy but couldn't afford to make the trip, relax. Tom will take you there on the canvas and you'll paint a lovely scene as if you were there. ...wanted to learn the secrets of the Impressionist Old Masters, look no further. You will paint one of the most famous Impressionist paintings of all time. ...then be prepared to bring these visions (and more) to breath-taking life...with your own beautiful oil paintings! In no time at all, you will create your own beautiful, original oil paintings...it's easy, fun, and you can do it right in the comfort of your own home! When you sign up for this course you have access to the modules and lessons for the rest of your life! There is no time limit for completing the course. Take as long as you like to complete the paintings...to complete the course! You also get access to any and all new material we add to the course (see below) so the value of the course will increase over the years. How to apply advanced techniques of perspective and composition so your paintings will look so realistic they will jump off the canvas. How to create an emotional connection with your viewer -- one of the key elements of great art. How to tell a story with your art so your paintings will be more interesting to your viewers. Additional bonus videos teaching more advanced techniques to help your art stand out from other artists. Because this program builds on elements taught in our Introductory course, we will only allow automatic enrollment for students of our Introductory Master Class. (If you have purchased our Introductory Master Class, but have not completed it, you may still enroll in this program.) There is no deadline for completion of this course or any of our courses. Others should submit a portfolio of their artwork and request admission to the Intermediate course. Contact us at support@alexanderart.com and we will send you an enrollment Questionnaire. We've said we want to make sure you are successful, so we are going to go out of our way to give you everything you need to create your own beautiful oil paintings. From paint to brushes to your own classroom, we know there is no other program that will go to the lengths we are prepared to go to assure your success. Here are the additional bonuses you'll receive as part of this course. To make sure your paintings turn out bright and beautiful, we provide a starter kit of all the colors used in all of the paintings. You will receive the additional brushes and tools you need to complete all of the paintings. If you want a complete set of brushes and palette knife, we have special pricing on a complete set. Each module has it's own set of guidelines so you know exactly what we're looking for in each painting. The guidelines outline the objectives of each painting as well as the techniques you'll learn. Then we show you each element we consider critical for a successful painting so you'll know exactly what to do. We provide you with a grid for each painting so you can use properly align and size objects for each painting prior to painting. This will assure that the elements of the painting are properly proportioned and in the correct location. We provide you with a reusable palette and instructions on how to prepare it for use. We have created a special forum exclusively for students in our Master Class Art Course. When you sign up for the course, we'll create a special classroom just for you to upload your progress photos as well as receive feedback from our staff. We will assign a mentor to assist you through the course. When you submit a photograph of your completed painting, they will provide an ongoing commentary and post it to your classroom. You'll receive a discount coupon code to save 25% on all your purchases from our online store as long as you are a student! Upon graduation, you'll receive a certificate of completion. This certificate will put you first in line when we launch our Advanced course. When you complete the five paintings in this course, you will get access to a painting we had intended to include in our advanced course. We thought we'd add it to the Intermediate course as a way to introduce you into our Master Class III course. "Walking in the Rain" is a stunning painting that perfectly caps this fantastic course. There’s one more step you need to take that I can’t take for you. It’s a step that will change your life forever. It’s a step that will take your art to a level beyond what you ever imagined you could do -- toward the status of a professional artist. 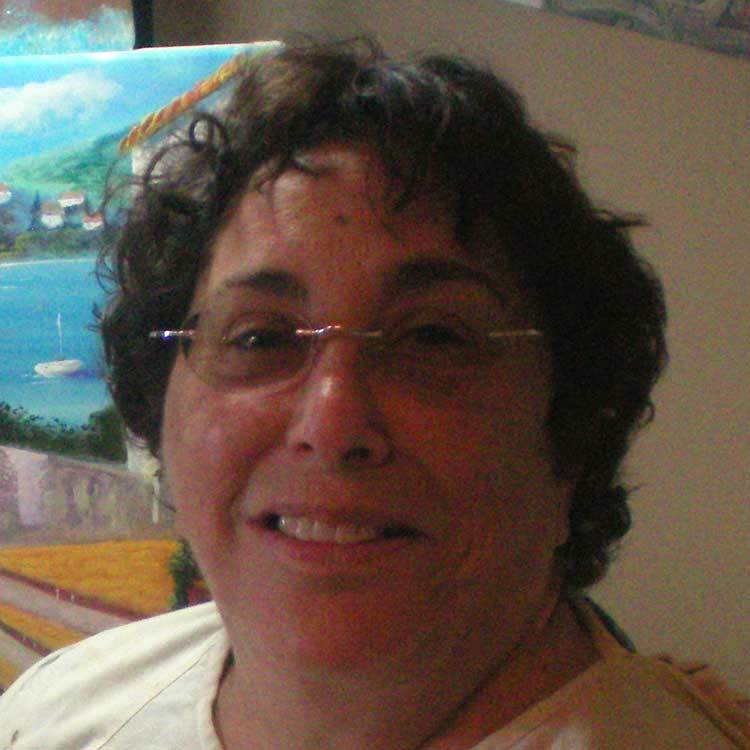 Join an elite group of artists whose paintings have delighted viewers and inspire other artists. Viewers who as they stood before those magnificent works of art marveled at the color, praised the brush strokes and wept from the sheer splendor of the painted image. Just click the button below and you’ll go to a page where you can begin the process of taking your art to the next level. Here’s what you need to do. Enter in your personal information and how you want to pay for the program. We accept credit cards or PayPal. So…click on the button below, complete the sign-up process, choose a payment method, and before you know it, you’ll be creating the beautiful paintings you’ve always wanted. Now is the time to take that one more step to becoming the artist you’ve always wanted to be! Click one of the buttons below today to start making your art stand among the best. Enroll Now! Convenient 3 payment plan! I have always wanted to paint...thank you for your patience and all that you have taught me! 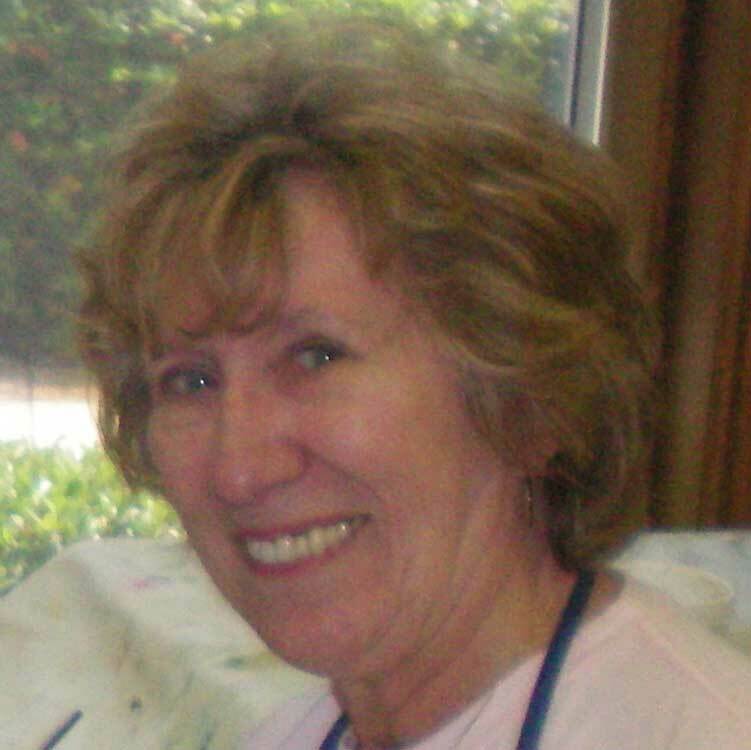 Thank you very much for your teaching all these years – for your enthusiasm, your amazing knowledge, your kindness and your passion for painting. In only a year under your tutelage, I've learned to appreciate art in a very different and special way. My painting skills have improved exponentially. It's rare to find an individual with your talent who is willing to share those skills with his students.